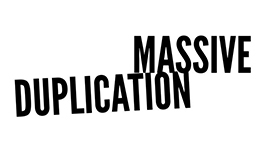 Last night I was doing a training call and got asked a typical question, although it does not directly address the question of massive duplication, the answer does in a big way. Here’s the question . . .
We were discussing targeted traffic generation in the training call and this participant wanted to know if he needed to create his own system to create success. Extremely important point when it comes to massive duplication in your business. You must ALWAYS be weary of what you do above and beyond what your particular business provides in the way of a marketing system when thinking of how your business will grow. Massive Duplication occurs when you do something successfully and then transfer that knowledge and success down the line. If you are creating huge success in your own business personally on the recruiting front but you’ve created your own lead capture page and your own website etc. you are to be congratulated for your success, but know this . . . The more steps and the more complicated your personally success system is the LESS duplicable it will be. The more you have to teach from a technical standpoint the less likely that knowledge will be passed down the line to levels two and three correctly. Remember that game you played as a kid where you whispered a sentence in the ear of the person standing next to you, and they in turn passed that message to the person next to them, all the way down the line to the last kid? When that last kid got the message it sounded nothing like the original message you started out with. Now if you had only said one word and passed it down the line, it’s much more probably that the last person to here it would get it right at the end of the line simply because it was a simpler message to transfer. Think about massive duplication in your business like that. You may be able to pull of some fancy stuff yourself and you may be good at teaching that stuff to your immediate recruits, but don’t expect them to be able to do the same. The simpler the system the more duplicable it will be. That’s one reason most upline sponsors teach their recruits to go buy leads and call them, it’s easy to do and easy to teach. Doesn’t mean it’s highly effective for all, but on the duplication front it is duplicable from an application standpoint. You want to keep as much of your company’s base marketing system intact as possible when creating your success because you always have to remember that in order for your organization to grow they MUST be able to do what you just did. The fewer steps involved in your personal recruiting system the more powerful it is in the long run. Never loose sight of this. Learn How To Creat Massvie Duplication And Make Your Next 90 Days Your BEST 90 Days…Guaranteed! ← Live A Life Of Purpose With Matt Morris. 2 Secret Scripts & 5 Ways to Recruit More People including 9 College Students in a Week. Objection Handling – How Much Money Are You Making? Live A Life Of Purpose With Matt Morris.